When it comes to protecting your factory carpet from the elements or spills, you can get the best of both worlds with Lund Catch-All carpet floor mats. You get the luxury look and feel of carpet with the protection typical of all-weather floor mats. These floor mats give you the coverage of liner with the plush carpet of factory mats. Lund Catch-All floor mats are custom molded for each car or truck and the materials are tested to ensure they last a lifetime. Lund has anchors to secure your floor liners in place and if your vehicle is equipped with retention posts from the factory, grommets to accommodate them will be incorporated into your floor mats design. Not only do the Catch-All mats look great, they are stain resistant and have a raised edge to keep your floor clean. Installing a set of the Catch-All will be simple and easy to do since there is no cutting or trimming needed to get the best fit in your truck, car, or SUV. In addition to an easy installation, your Lund floor mats can be simply hosed off without any special cleaners needed to keep them looking their best. Catch-All carpet floor mats from Lund are available in a multitude of colors to match virtually any interior and mats are available to fit the front, second, and even the third row. Colors of mats include beige, black, camel, cashmere, charcoal, pewter, slate, grey, neutral, stone, and tan! You won't have to worry about quality either since Lund Catch-All carpet floor mats are made in the USA and come backed by a lifetime warranty against defects in materials or workmanship. Your new floor mats from Lund will be super simple and easy to install. They don't require any cutting or trimming due to their custom design, they just slip into place. 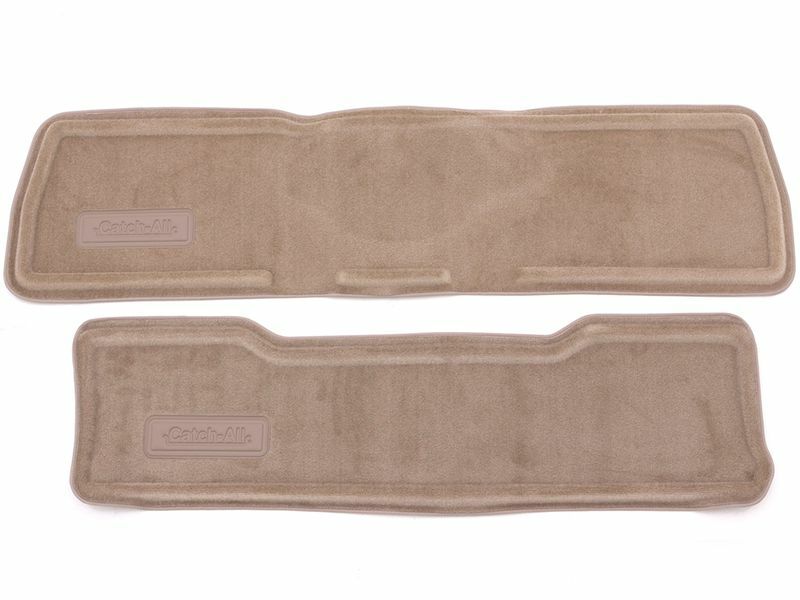 If your vehicle is equipped with factory retention devices your Lund Catch-All floor mats will accommodate them. If you would like to have any additional information about Catch-All floor mats or any other Lund product, please feel free to call us with any questions at 1-877-216-5446 or 1-701-253-5906.